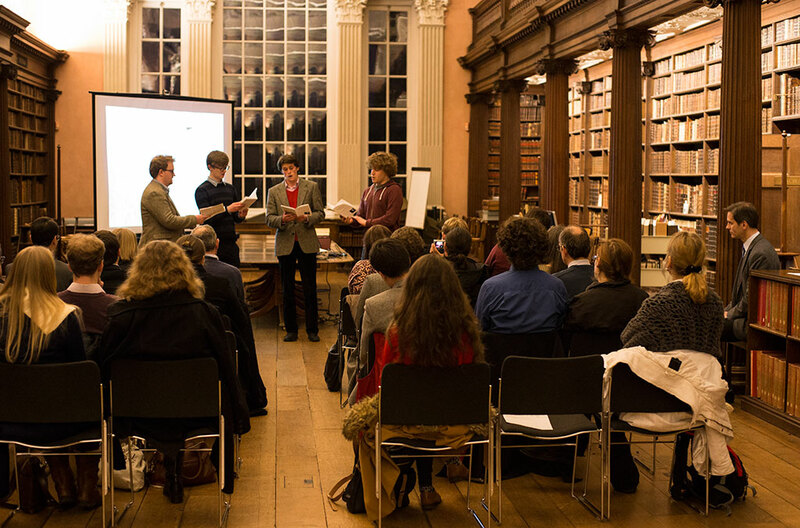 The first results of the ongoing Henry Aldrich Choral Edition Project are now available. 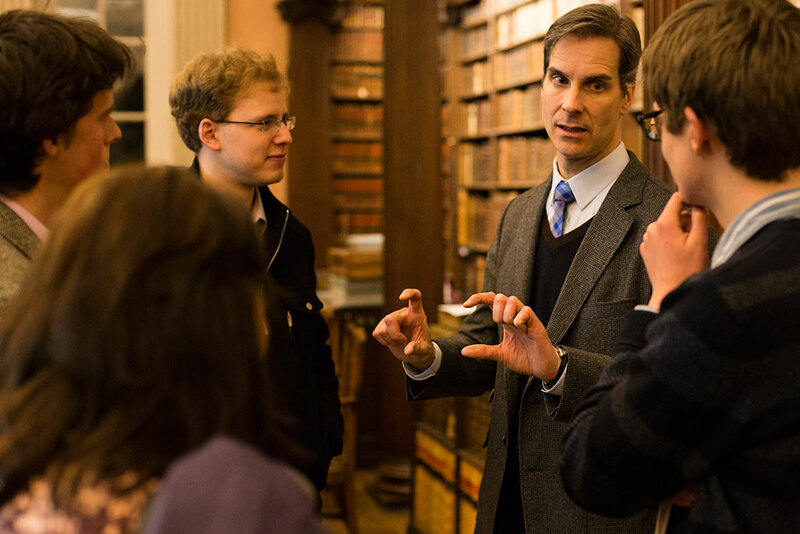 Scholars and performers alike are able to access and download original choral works by Henry Aldrich (Dean of Christ Church, 1689-1710) in modern performing editions. Edited by Dean Jobin-Bevans (Professor of music at Lakehead University, Canada), the seven full anthems by Aldrich are the first in the series to be published and include Out of the deep, O praise the Lord, Sing unto the Lord, Give ear, God is our hope and strength, Behold now and O give thanks unto the Lord. Each title has been edited to include modern vocal clefs, time signatures, and a reduction for organ accompaniment. 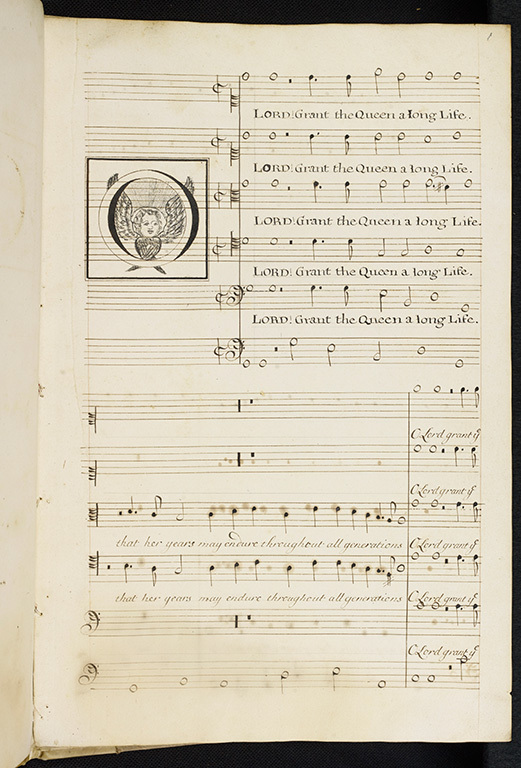 For this, the editor has primarily used the original manuscript score (Mus 19), recently digitized. The manuscript contains services and anthems by Henry Aldrich copied in three layers: (1) services (items 1-4); (2) verse anthems (items 5-20); (3) full anthems (items 21-8). Organ accompaniments for the full anthems are found in the manuscript score Mus. 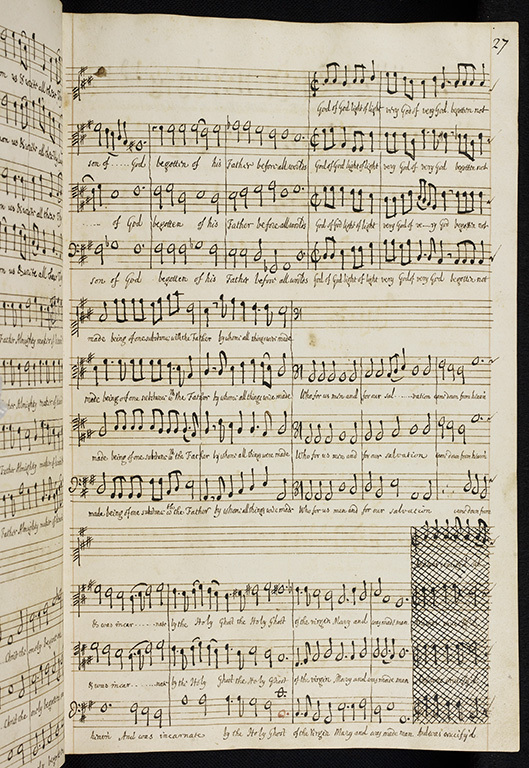 1230 (recently digitized as well) in the hand of Richard Goodson Sr., the cathedral organist between 1693 and 1718. The music copied into the organ partbook was intended to be an aid for the accompanist and as such resembles more of a musical sketch than an actual part. The music is written on two staves, a bass (sometimes figured, often not) and a treble, with six lines per staff where the additional line in both cases represents middle C. There is also the occasional text cue written above the treble staff to aid the accompanist. Demo recordings of Out of the Deep and O Praise the Lord are also available, see links further down the page. The recordings of Out of the Deep and O Praise the Lord were performed by a vocal consort accompanied by chamber organ in the Christ Church Cathedral. An attempt was made to recreate the late seventeenth-century performance conditions specific to location and accompanying forces. It was for this reason that the singers and organist were recorded in the Cathedral crossing close to a balcony at the end of the south transept where, in the time of Aldrich's appointment as the Dean of the Cathedral, the choir and organ were located. The work (coordinated by the Keeper of Special Collections at Christ Church) on the Aldrich Project continues, with more choral scores (also edited by Professor Jobin-Bevans) and digitized source material, such as the manuscript score Mus. 783 (comprising the anthem O Lord, Grant the Queen a Long Life), also made widely available and already debuted when the anthem was sung at the Evensong service in Christ Cathedral on Monday, 6 February 2017 in celebration of the Queen's 65th Anniversary of Accession. 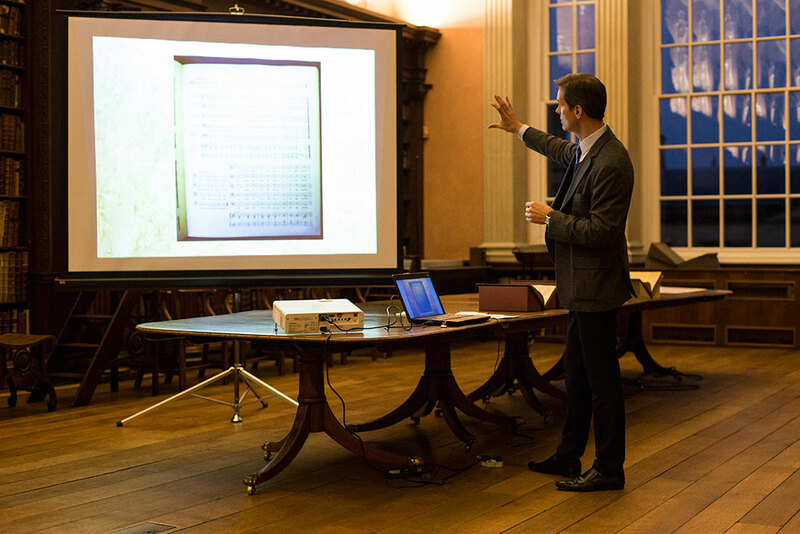 As a part of the continuing program of research on the Henry Aldrich Choral Edition project, Dr Dean Jobin-Bevans has been giving a series of lectures on the subject of Henry Aldrich's choral verse anthems originally composed for liturgical use in Christ Church Cathedral. 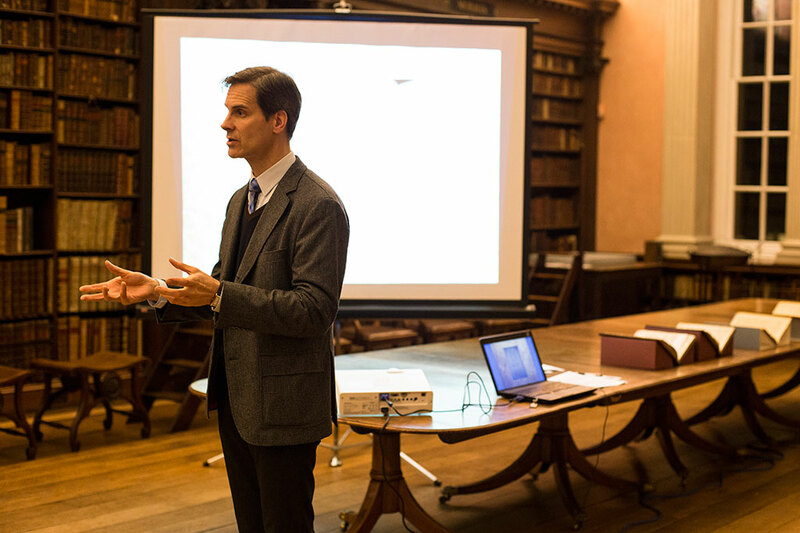 For the text of the talk on 6 November 2017, please click here.